Coastal Bend College offers CDL Truck Driving School in partnership with Excel Truck Driving on all campuses. 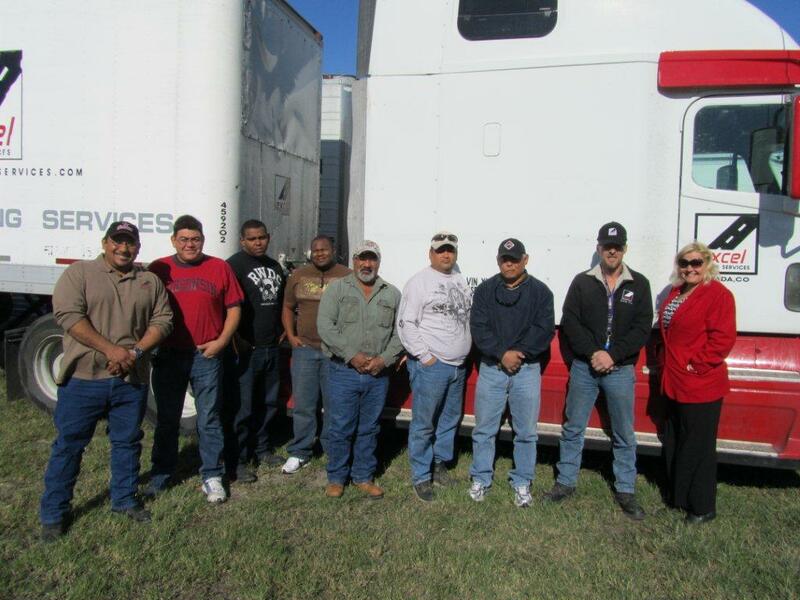 CDL training was expanded in 2011 to meet the demands of the current oil boom in the area. Participants in CDL training in Pleasanton include, from left, Oscar Gonzalez Excel Trainer; Efren Covarrubias, student; Jesus Reyes, student; James Polk, student; Simon Nava, student; George Perez, student; Moises Benites, student; Cliff Ross, Excel trainer; and Angela Saenz-Ngo, Excel Southern Area Manager. For more information about CDL training and other professional development opportunities, visit the website at www.coastalbend.edu/ce.